﻿ Can New Water Tech Help Reduce Conflict in Middle East? Can New Water Tech Help Reduce Conflict in Middle East? The original version of this article, by Rowand Jacobsen, appeared on Ensia. Ten miles south of Tel Aviv, I stand on a catwalk over two concrete reservoirs the size of football fields and watch water pour into them from a massive pipe emerging from the sand. The pipe is so large I could walk through it standing upright, were it not full of Mediterranean seawater pumped from an intake a mile offshore. 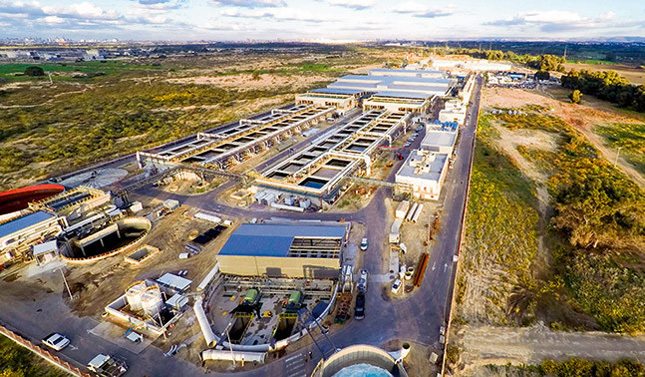 Photo Credit: Sorek desalination plant, courtesy of IDE Technologies.